Great work Jack, this sums up your opinion well with facts to back it up. I like the originality of your logo too, a nice personal touch. I love your work. You are doing some great work and I think this is some next level writing there is nothing wrong so keep up the good work. Great job on making that possum! It looks really cool, I like how you made it look like ghost busters and also how you had the possum with the sign. 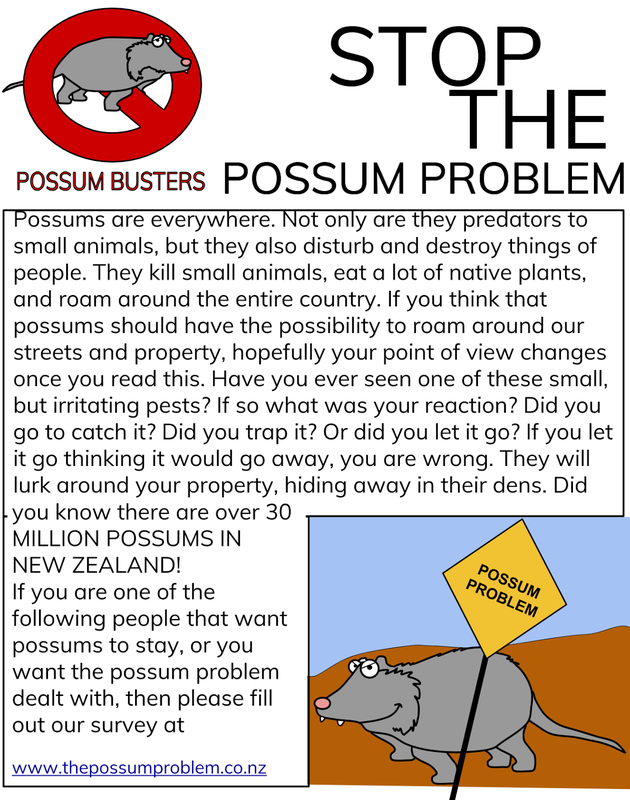 I have a few questions though, Do you think that possums know that they're exterminating native and endangered species? Is it not the fault of the people who wanted them to come to New Zealand in the first place's? Also how long did it take to make that possum? And how did you get your inspiration? Great job on this you put some great facts on too!